Do you believe that you can make a life-changing difference for women from all walks of life by offering them an invitation to do just one thing? The You’re Worth It! 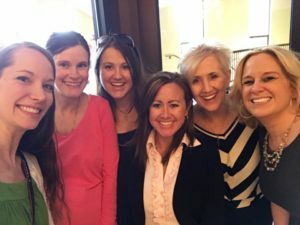 Day Retreat for Women is a do-able plan for introducing everyday women to the life-changing idea that they were made for an intimate relationship with a God who knows and loves them inside and out. 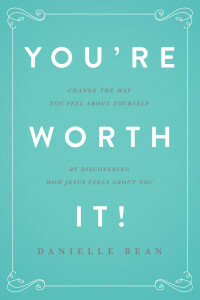 The themes in this retreat are ones that Danielle Bean explores in her newest book, You’re Worth It! Change How You Feel About Yourself By Discovering How Jesus Feels About You. 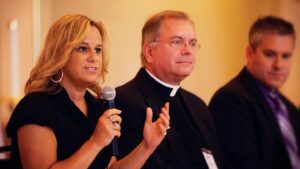 As an author and an accomplished speaker who specializes in women’s ministries, Danielle has the opportunity to work with and hear from women every day. She knows their struggles because she shares them. She knows their stories, because they are her stories too. Inside of this flexible 4-hour retreat, women walk alongside the women of the Gospels and explore what it means to be fully loved by Jesus who longs to heal them, help them, fulfill them, and give them a voice. Danielle is an experienced speaker and group leader. God has big plans for the women of your community. Will you help to make them a reality? If you would like more information about how to bring the You’re Worth It! Day Retreat for Women to your community, please use this form. Thank you!